Frontpage - Sophal Ear, Ph.D. Previously, he taught political economy and how to rebuild countries after wars at the U.S. Naval Postgraduate School and international development policy at the Maxwell School of Syracuse University. He consulted for the World Bank, was Assistant Resident Representative for the United Nations Development Programme in East Timor, and Advisor to Cambodia’s first private equity fund Leopard Capital. A TED Fellow, Fulbright Specialist, Delphi Fellow of BigThink, Term Member of the Council on Foreign Relations, Young Global Leader of the World Economic Forum, and Fellow of Salzburg Global Seminar, he is on the boards of the Nathan Cummings Foundation, Partners for Development, the Southeast Asia Resource Action Center, the Southeast Asia Development Program, Diagnostic Microbiology Development Program, the Journal of International Relations and Development (Palgrave), theInternational Public Management Journal (Taylor & Francis), the Journal of South-East Asian American Education & Advancement (University of Texas), and Politics and the Life Sciences (Allen Press). He advises the Faculty of Development Studies at the Royal University of Phnom Penh and is a Councilor for the Cambodian Center for Human Rights. 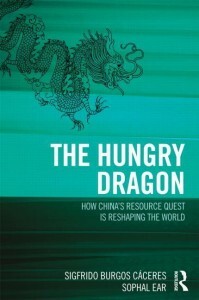 He is the author of Aid Dependence in Cambodia: How Foreign Assistance Undermines Democracy (Columbia University Press, 2013) and co-author of The Hungry Dragon: How China’s Resources Quest is Reshaping the World (Routledge, 2013). He wrote and narrated the award-winning documentary film “The End/Beginning: Cambodia” (47 minutes, 2011, news blurb) based on his 2009 TED Talk and has appeared in several other documentaries. A graduate of Princeton and Berkeley, he moved to the United States from France as a Cambodian refugee at the age of 10. 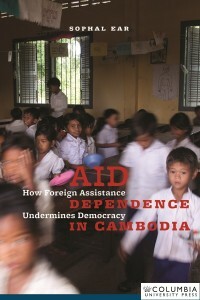 Using cross-national statistical evidence and his immense knowledge of Cambodian society, Sophal Ear has produced an important book on the perverse effects of development aid on governance. Among many riveting presentations was one by a survivor of the Cambodian genocide, Sophal Ear. I want to try to express my thanks to you for presenting such a dynamic and eloquent … presentation, A Refugee’s Journey, at the dinner for the 2011 Multicultural-Historically Black Institution Visitation program. Message from server: Not Found. Check in YouTube if the id PL0Het_3dst4opPl2aKDK1-LsA_9vZrOmV belongs to a playlist. To locate the id of your playlist check the FAQ of the plugin. If she fails, we’re all headed to the gallows. If she passes, we can leave to Vietnam.